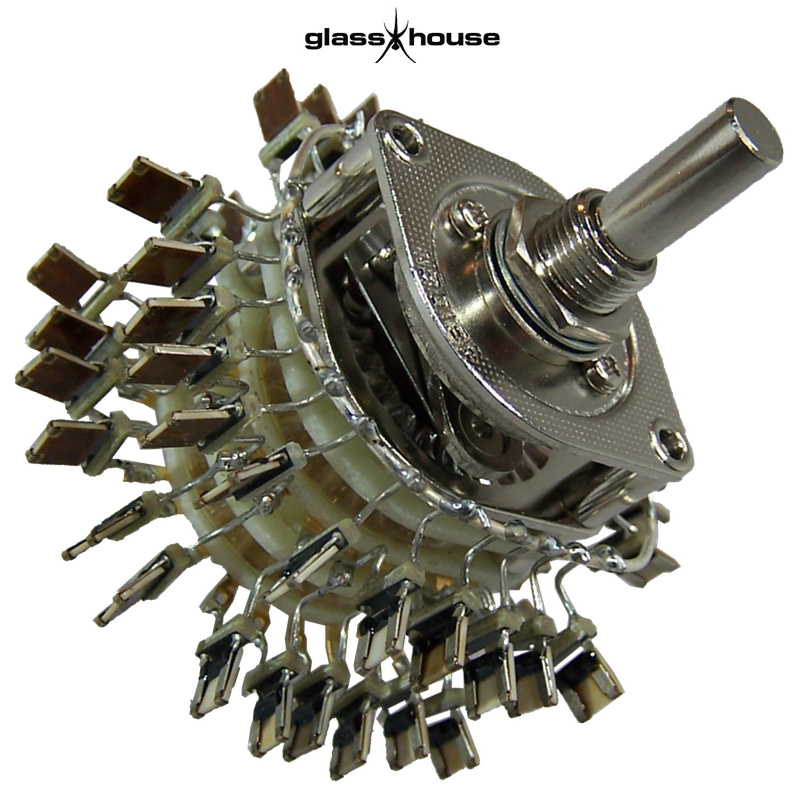 Glasshouse Ladder 100K mono 23 stepped attenuator, featuring Charcroft resistors on a Seiden switch. Super high end ladder stepped attenuator, amazing sound stage and clarity owing to the 0.1% tolerance of the Charcroft Z-foil and their amazing transparency. This ladder step combines, in our humble opinion, the best sounding resistors, the 0.4W Charcroft Z-foils, and the beautifully crafted Seiden 2 pole 23 pole switch. Constructed using Mundorf 3.8% silver/gold solder with 1mm HGC pure silver as the earth ring. Supplied fully built. Dimensions: 40mm diameter x 70mm depth.